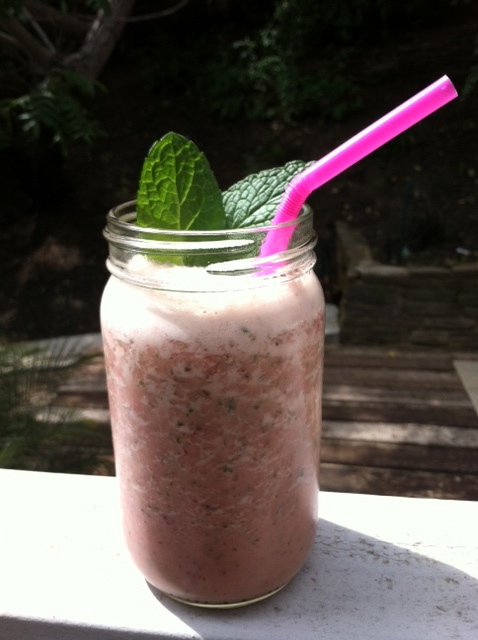 This smoothie is packed full of energy boosting AND feel good ingredients. A perfect way to start the day on the right track. There's green tea for loads of antioxidants and offers a steady flow of healthy energy, no spike and no crash like coffee; chia seeds for your omegas; non-fat greek yogurt for protein and probiotics; and fresh mint which is chalk full of vitamin c, iron, and calcium and tames the tummy. I'm actually drinking mine as I write this and I can already feel the good vibrations....I think I'm gonna clean the whole house and go for a run with the dogs and maybe some yoga in the backyard....woooo this feels great, gotta go! 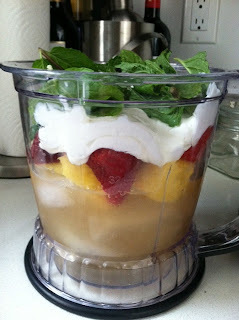 Layer all ingredients in a blender as listed and blend till liquified. Add sweetener to you taste preference. 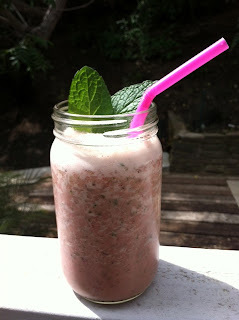 Serve garnished with fresh mint leaves and enjoy!